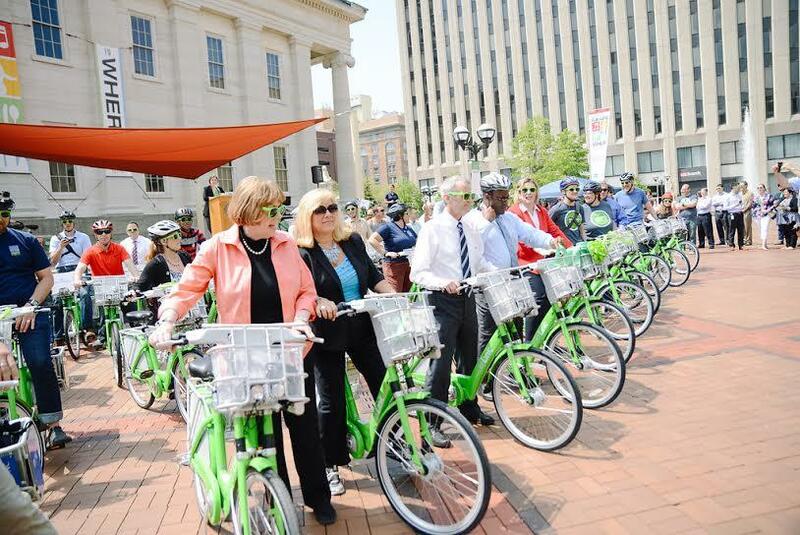 After cutting the ribbon on Dayton's new 'Link' bike-share program, city officials get ready to ride. Downtown Dayton’s new bike share program kicked off this month and it has already exceeded expectations. Chris Buck with Bike Miami Valley says the bike share numbers in the first few weeks have been high. So far the program, called Link, has brought in about $24,000 in bike rentals and memberships. Buck says the money goes back into running and growing Link. As the number of bikers on downtown streets grows, safety is a concern, but Steve Finke with the city’s public works department says the city has been preparing for increasing numbers of cyclists for some time. “We've been putting bike lanes in on certain streets in the downtown area to make tie-ins to the bikeway along the river, and so we've been developing these bike lanes in a kind of a systematic way and we have several more planned here in the future.” he said. Finke says drivers in downtown Dayton can expect to see more bike lanes phased in on Wayne Ave., Riverview, Helena and Keowee St. and others. 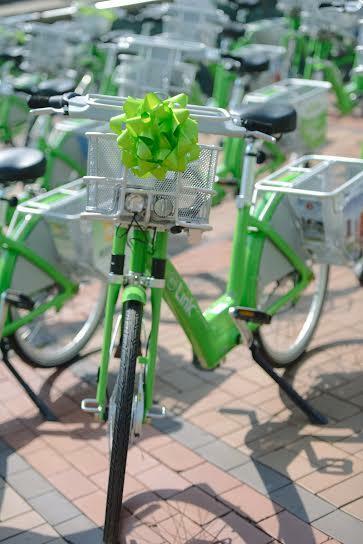 According to Bike Miami Valley, more than 25 cities across the U.S. offer bike-share programs. In Dayton, there are 24 bike stations within a two mile radius of downtown Dayton, with more than 200 bikes available for use. For a rental fee, or paid membership, customers can unlock the bikes and ride to any other station, or they can bring the back to the original location. Information on where each station is located can be found on the Link home page.